cushions, and enclosure gaskets. 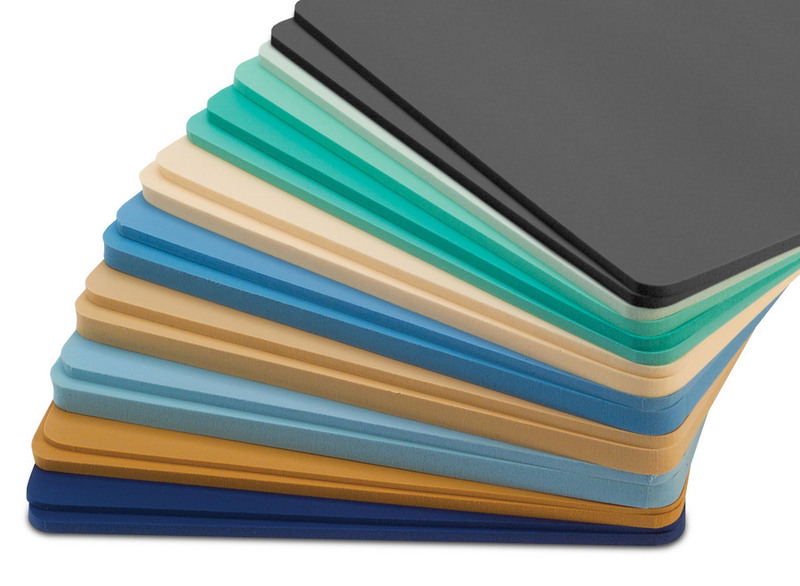 Poron foam materials are available in different grades and thicknesses, support the use of pressure-sensitive adhesives (PSAs), and range in hardness from extra soft to very firm. With their uniform microcellular structure, Poron foams compress easily but retain their memory. They provide reliable sealing under low-compression force and resist dust and light splashing. In terms of compression set resistance, Poron foams are similar to silicone foam and silicone sponge. These urethane foams offer much greater compression set resistance than neoprene sponge or polyethylene foam. Compression set is an elastomer’s ability to return to its original thickness after prolonged compressive stress at a given temperature and deflection. Over time, a rubber material that’s compressed loses some of its ability to return to its original thickness. Typically, the results of compression set testing are expressed as a percentage. As a rule, lower percentages indicate greater “memory” or resistance to permanent deformation. With elastomeric seals, gaskets, cushions, and pads, a loss of resiliency or memory can affect long-term performance. Shock isolation pads that can’t withstand compression set may fail to protect sensitive components if a larger unit, such an electronic device or display, is dropped. For applications where compression set resistance is crucial, Poron urethane foams are available in supported and unsupported grades. Supported materials include Poron 4790-92, an extra-soft urethane foam that’s supported by a polyester film and has a compression set resistance as low as 2%. Unsupported Poron urethane foams don’t have a polyester film, but provide comparable amounts of resistance to compression. For example, Poron 4701-30 is a very soft urethane foam with a compression set resistance between 2% and 10%, depending on ASTM test method. Poron 4701-40 is soft, and Poron 4701-41 is soft with enhanced sealability. Like Poron 4790-92, these unsupported Poron foams have strong compression set resistance (2% and 10%) and are available in a range of thicknesses to support specific application requirements. Interstate Specialty Products is ready to answer your specific questions about Poron foams and compression set resistance. To learn how our die cutting capabilities can support your product designs, contact us on-line, call (800) 984-1811, or click to request a quote.